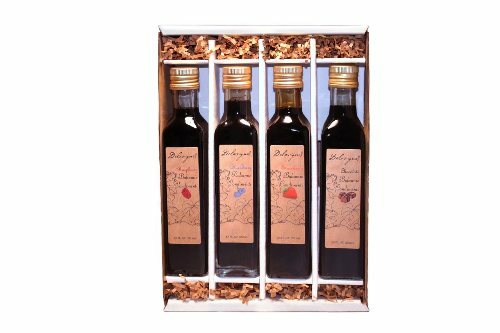 Includes 8.5oz bottles of Peach, Raspberry, Blueberry and Chocolate Infused Balsamic Condimenti. Create your own unique marinades and desserts! Be sure to visit our recipe pages for ideas and inspiration!